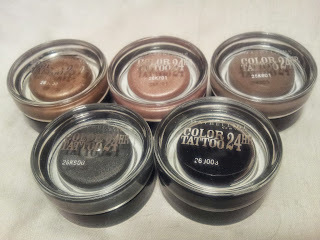 On to day 3 of #Blogtober already, this post is a review of Maybelline's Colour Tattoo 24hr Creme Gel Eyeshadows. There are some brighter shades available in this range, however I chose the most neutral, wearable colours available. 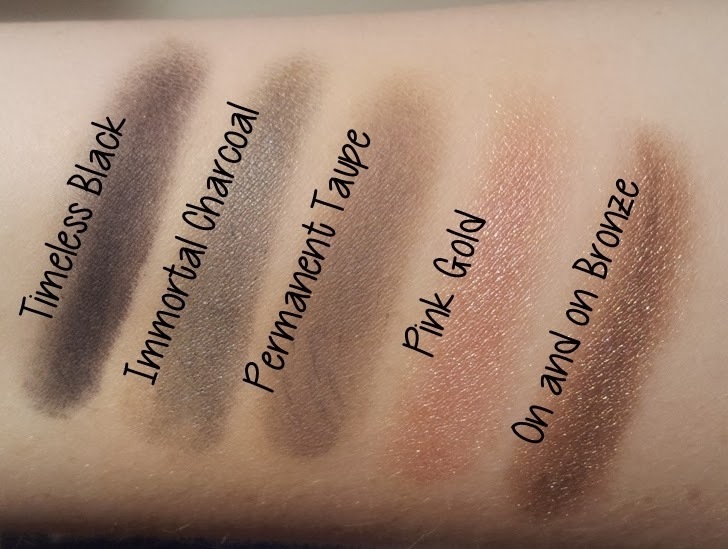 Spoiler alert: these shadows are amazing! I would recommend them to anyone and everyone. 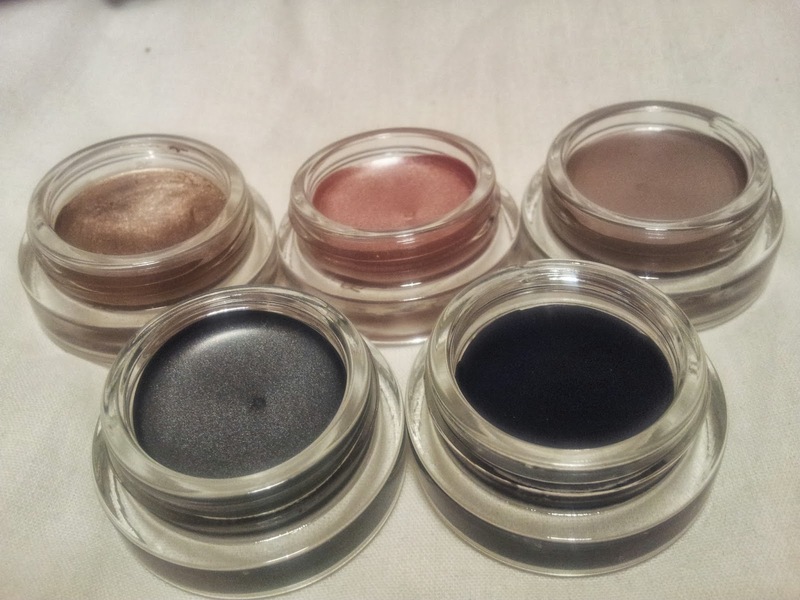 They rival MAC's paint pots or Make Up For Ever's Aqua Shadows. They go on quite wet, you can buff them in with a fluffy brush (I recommend a MAC 217 brush) and hey presto they dry quite fast. You are then set for the day as they don't budge. The best part is you can wear them as your eye shadow or you can wear them as a base for any of your other shadows. I especially think you can really buff the On and on Bronze or Pink Gold in and they are the perfect base for any colour shadow on top. You can pick these up in any Drugstore/Pharmacy, they retail at approximately €7.50 each. Which is an absolute bargain when you consider how much the MAC/Make Up For Ever equivalent go for. Have you tried any of these Colour Tattoo Eye Shadows from Maybelline? What are your favourite cream eye shadows?